Celebrating Your Kids' Birthdays with Your Ex and Everyone Who Loves Your Kids! 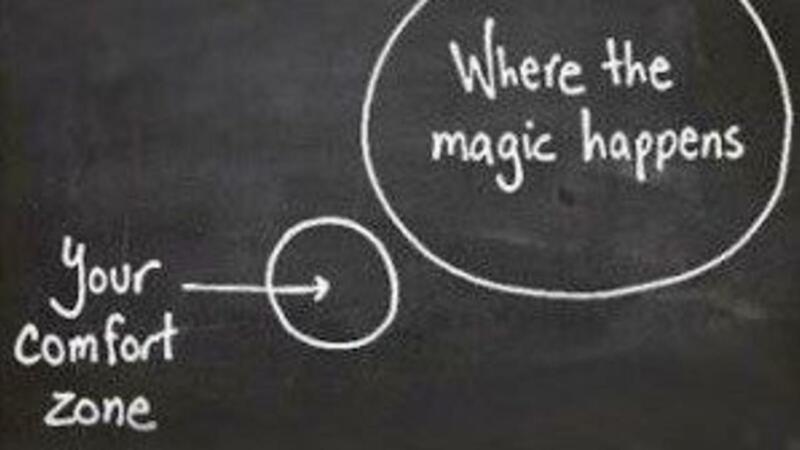 How far out of your comfort zone will you go for your kids? This question came to mind last week as we were celebrating our twin girls' birthday! Holy Smokes does time go by so quickly! In another decade they’ll be 20 and off figuring out a life of their own, which makes me so proud and so sad all at the same time. Anyways, this got me thinking about how well or smoothly my ex and I have celebrated their birthdays since we've been separated. For the majority of birthday parties we’ve celebrated since separation, the kids have wanted their birthday party at a place – like an indoor rock climbing park, a trampoline place, an indoor amusement park, an indoor jungle gym place, etc. All of these have one huge benefit – they are on neutral ground. One of the girls wanted an ‘at home’ birthday party, and since her birthday party fell on a weekend the kids were at their dad’s house, the party was booked for his place. Then my sister living in Quebec said she was coming into town for the day to celebrate the girls’ birthday. Since the intent behind her trip was to hang out with the kids, I told her they’d be at their dad’s and that she could arrange a visit by checking with him. Which she did – my family and my ex keep in touch and get along well. Because my Quebec sister was in town, my other sister who lives in town wanted to catch up with her, so she also arranged to visit at my ex’s place that same day, before the party. So, when I arrived at my ex's house for the birthday party, it was definitely, initially awkward. I mean, both my sisters were over and were finishing up lunch with my kids and my ex. It was a nice get together that I simply wasn’t invited too. Or had inadvertently opted out of when we’d separated. Immediately I could feel feelings of annoyance and hurt and jealousy rising within me. But instead of acting on them - at least I hope I didn’t! - I worked through my feelings for a while, in my head. And I wondered to myself, how could this situation bother me less – I mean, should I have banned my sisters from visiting with my ex even though they, thankfully, have pleasant friendships with him? Should there be rules, such as my family members must have lunch and visit with me and only go over to my ex’s house for the official birthday party – sort of force them to fall into line with my plans/restrictions for the day? Should I really try and control the kids’ access to their Aunts because I am not invited? As much as I was answering yes to these questions initially - it was a small yes. Cause answering yes, wasn't actually bringing me a sense of peace. None of my feelings and responses to the situation felt right overall. The only thing that felt right overall, and gave me a sense of peace, was exactly the way the day happened. Even though it initially gave me a sense of great discomfort. And I realized that I was glad for my kids. And I was proud of my sisters and my ex for opening up and visiting together. The best gift I could give the kids was as much time as possible with their Aunts on their birthday. Thankfully, I didn’t give into my initial feelings of hurt and jealousy. In the end, it became obvious that my feelings were my own small minded reactions to the situation. I had to break out of my own limiting thoughts on how I felt things should go or look and who's side anyone should be on. Because I realized we are all on the same side. We all wanted to celebrate the kids that afternoon because we all love them so much. And so the birthday party went off without a hitch – it was a great time! The kids had a fantastic afternoon and so did the adults :) And at the end of the day, that’s all I wish for my kids, no matter how far out of my comfort zone it takes me - life is always an adventure! I wish you all many journeys outside your comfort zone! If you have a similar story, please share in the comments below!